Moving houses when you have children, especially toddlers, is not an easy task. On the contrary, it can be a challenging experience for all – especially the kids. 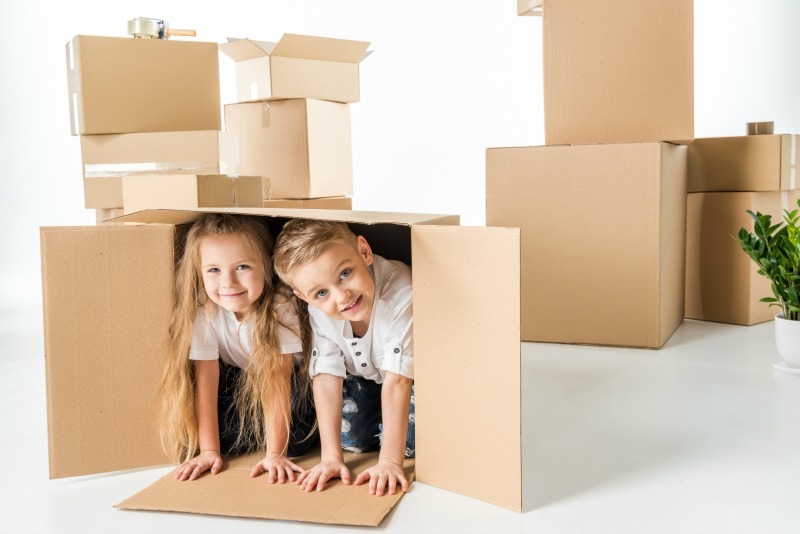 If you have littles at home and are planning a move soon, you’ll want to read today’s guest post written by a woman who’s helped many families move. This post contains Amazon Affiliate links. Please read the Disclosure for full details. Whether you’re moving to a new country, city, or just moving houses, you should know that it is not easy for the children. The thought of having to leave their friends, school, and house behind can be terrifying to them. After all, a new place means that they might not know anyone there. Kids might experience anxiety or feelings of loneliness prior to the move. They might fear meeting new people while losing the ones they already know. It might also be hard to get used to a new school and play mates. The good news is, a lot of these fears can be alleviated by taking some simple steps before actually moving. Children will be strongly influenced by your attitude towards the move, and you can use this to help them make a smooth transition. 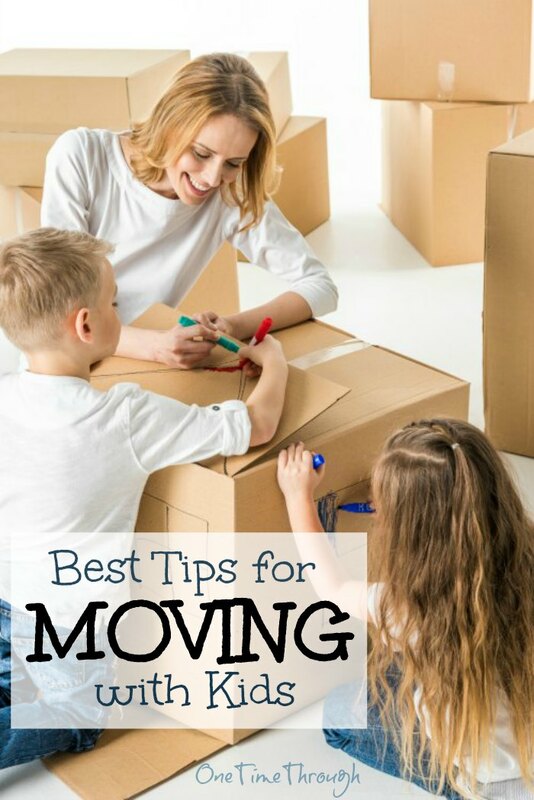 Here are some tips that can help you successfully move with your kids! It’s better to tell your kids sooner rather than later that you are moving. This is an essential step to take. Children are smart and sensitive, are are often aware changes are coming even before you tell them. There is also a possibility they could overhear you talking about a move without really understanding what’s happening. Telling your kids about the upcoming move lets you maintain the trust in your relationship. To tell your children in an easy way, you can hold a family meeting. Order some food and start a family conversation. If you have a new job, tell your kids how much the new position will benefit the family, and how happy it makes you feel. If you’re moving for different reasons, tell them all the positive things about the move. Also, let them know that you are going to help them through this, with packing and handling all the details. Finish by asking if they have any questions or worries about the move. Let your children contribute to the moving process as much as possible. It makes them feel that they matter and helps them be useful. They can help with packing, sorting through items, and even decorating and labelling boxes. Allowing kids to help in these ways give them time to adjust and cope with the upcoming change. It’s better than excluding them until they just wake up in a new house wondering how they got there! To get them excited about moving, tell them you’re going to let them design their new room. If you want, you can have them help with designing the rest of the house as well. ake them shopping and let them choose a new object, decoration, or toy that they would like to have in their room. If your child is already a teenager, you could also give him some money, so he can buy the things he would like for his new space. Although new objects may make your child feel good about moving, try not to overdo it. Keep in mind that they will feel safer if they see familiar stuff around. It can be decorations, toys, or even the arrangement of the furniture. Moreover, school is important. If your child has to move schools, give them as much information about it as you can provide. Show them pictures of the school or their new teacher. If it’s possible, contact a parent from the parent association of the new class, and let your child meet some of her future classmates. Before moving, it would be nice to organize a get together with the child’s friends or former classmates. This will give them the chance to see their close friends once again and, possibly, figure out ways to stay in touch or meet again. Also, the day you’re leaving, you can take your child to the rooms of the house to say goodbye and thus take the process one step further. Before actually moving, take your child on a little trip to the new site if possible. If you’re moving cities, walk the neighbourhood and surrounding areas with them. Take them to their new school, and show them your new workplace as well. If you’re moving far away and are unable to visit, consider using Google Maps or Google Earth to virtually visit the new home, or search the internet for photos of local areas to view ahead of time. As mentioned above, moving to a new place can be very difficult for a child. It can feel like they are losing a part of themselves. Let them know that you’re there for them. Tell them that if they have any problems, you are there to listen to them and help them. Let them know it’s okay to be sad and to be scared too. Moving with kids is a hard task – before the process and after as well. Expect your child to experience changes in their mood and behaviours as they adjust to the newness of their surroundings. The transitioning often has a beginning, middle and final stage. And it’s important not to rush your child to accept the new change in their life. Be patient and guide them. They will learn to love the new home! Guest Author Bio: Jessica is the head of content for Hire A Mover – her father’s moving company. In her spare time, she enjoys travelling around the world to different surf spots and tasting the local cuisine. If you’re looking for some extra help to get your child thinking positively about an upcoming move – why not try reading a few books about making this big change? Here are my favourites! Perfect for younger children aged 2 to 6, this classic book will help teach kids about the process of packing up and moving house along with the changes that come with a new home. A hilarious tale in classic Robert Munch fashion, that follows the moving day adventures of a family full of kids that find a very unusual way to move! Perfect for kids ages 4 to 8. Another great book for kids aged 8 and up. This book is described by its publisher as a “tool…filled with advice and activities to help you prepare for a move.” The book includes areas to journal and scrapbook about the moving experience and has fun touches like postcards to send to friends, games to play while on the road, and ideas for designing a new bedroom! 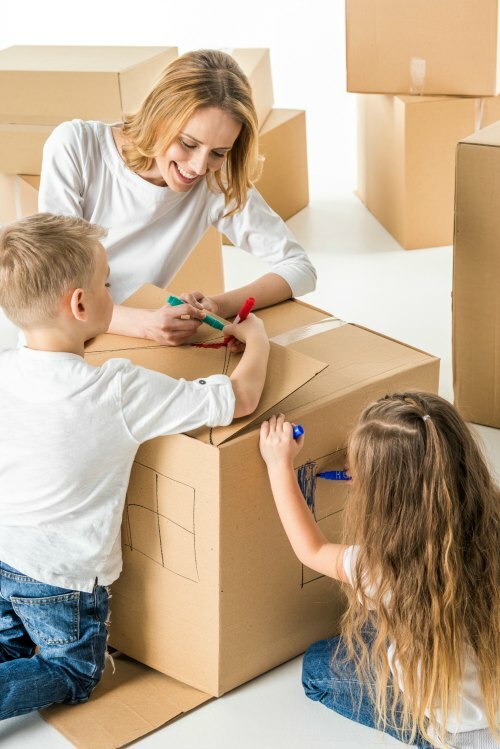 Do you have any tips for moving with kids? I’d love to hear them – leave a comment below! Previous Post: « Positive Parenting Resources that Rock!